The aftermath of a car accident can be a difficult time. You’re probably trying to juggle doctor’s appointments, deal with paperwork, and get back to work as quickly as possible. Thanks to the complexities of recovery, many people make critical errors while their accident lawsuits are pending. 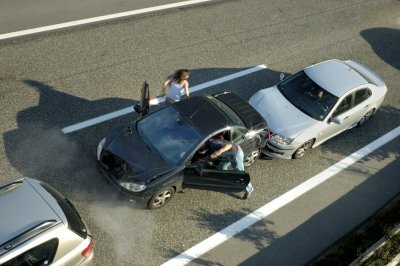 Following the advice of a car accident lawyer in Riverside can help you avoid these problems. Avoid discussing your case with anyone other than your lawyer. 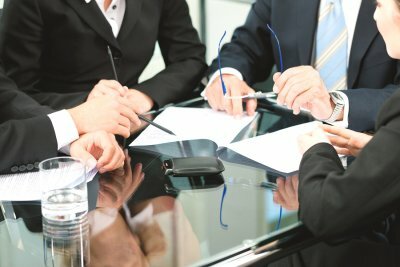 One of the most common mistakes that accident lawsuit plaintiffs make is to discuss the incident with claims adjusters, defense lawyers, defendants, or other parties. This is never advisable. If anyone contacts you to ask about the case, you should direct all questions to your car accident attorney. Otherwise, you might inadvertently say something that could compromise the outcome of your case. Avoid using your social media accounts. These days, posting to social media accounts is practically second nature for many people. But while your accident lawsuit is pending, it’s best to avoid them entirely. Expect that defense lawyers, claims adjusters, and other interested parties will scrutinize everything that you post. They will look for pictures and posts in which you appear to not be as injured as you claim. Strengthening your privacy settings is not a foolproof method of protecting your case. Avoid neglecting to document your injuries and recovery. Aside from hiring a lawyer, one of the most effective ways to facilitate a favorable outcome for your case is to gather strong evidence. Photographic evidence of your injuries, surgical wounds, or the damage to your vehicle can be effective in cultivating the support of the jury. If you’re having significant problems moving around, you may even wish to have someone record video footage as you try to complete daily tasks. Additionally, save all physical evidence you collect during your recovery, such as pill bottles, braces, casts, and similar items. Avoid forgetting to keep your lawyer updated. It’s essential to keep your lawyer in the loop while your case is pending. Let your lawyer know if you’ve been diagnosed with any complications, if you’ve been referred to another medical provider, or if any other developments arise. After sustaining losses in a crash , you may decide to consult a car accident lawyer in Riverside. He or she can file an accident lawsuit on your behalf to seek compensation for your medical expenses, property damage, lost wages, pain and suffering, and any other appropriate damages. Most accident lawsuits are not resolved after a trial. In fact, many personal injury clients manage to stay out of the courtroom entirely. This is thanks to the possibility of personal injury settlements. You can learn more about personal injury settlements by watching this featured video or speaking with your car accident lawyer. The settlement is a legally binding agreement between the plaintiff and the defendant to drop the case in exchange for a set amount of compensation. You are not obliged to accept a settlement; this decision is entirely yours to make. A slip and fall accident can lead to serious injuries and substantial losses, including medical bills and missed time at work. Sometimes, victims are left permanently disabled and unable to work. Slip and fall accident survivors in Riverside have legal recourse available to them. If you’re considering filing a lawsuit to obtain compensation, you’ll meet with your slip and fall lawyer during an initial consultation. It’s important to share all details about the incident with your lawyer, even if you don’t think that they’re important to the case. For example, you should tell your lawyer what you were doing immediately prior to the fall and how much time passed before you sought medical attention. Your lawyer will need all of the physical evidence that may support your claims. You may be asked to sign a release form to allow the lawyer access to your medical records. If you took pictures of the area where you fell, these can prove immensely helpful for your case. Let your lawyer know if you noticed surveillance cameras in the area. Another component of the initial consultation is making sure you have the information you need to decide whether to pursue the case. Consider bringing a list of questions with you to the consultation, along with some blank paper for taking notes. You might want to ask the lawyer about his or her prior experience handling slip and fall accident cases or you might want to ask what you can expect from the litigation process. After you’ve had your attorney file an accident lawsuit in Riverside, he or she will gather as much evidence as possible to support your allegations. Many types of evidence can support your injury case , such as the police report, medical records, and surveillance footage. But witness statements can also play a role in the outcome of an accident lawsuit. Either party involved with the lawsuit, plaintiff or defendant, may use witness statements in litigation. Not all accident lawsuits end with a jury verdict. Many of them are resolved before ever going to trial or during the course of the trial. The defendant in an injury case may be more willing to settle the lawsuit if he or she feels that the jury will find in favor of the plaintiff and vice versa. With credible witness statements and other evidence, a personal injury lawyer can effectively negotiate a favorable settlement with the other party. Of course, it’s entirely at the discretion of the client whether to accept the settlement arrangement or move forward with the litigation. During the discovery process prior to the trial, an accident lawyer may depose one or more witnesses to uncover the facts of the case. This testimony, which is given under oath, may play a pivotal role in the trial. A witness’ written statement or testimony given during the trial can also serve to influence the jury to find in favor of the plaintiff. For instance, the plaintiff in a car accident case may claim that he or she was driving at the speed limit and did not otherwise violate traffic safety rules. An eyewitness to the accident may substantiate this claim by disclosing what he or she saw. Medical records are essential for proving the nature and extent of a plaintiff’s injuries. However, the defendant may still try to claim that the accident wasn’t the cause of the injuries. For example, the plaintiff might have sustained a head injury during the accident and the defendant may try to claim that the plaintiff actually sustained the injury earlier in the week during a sporting event. 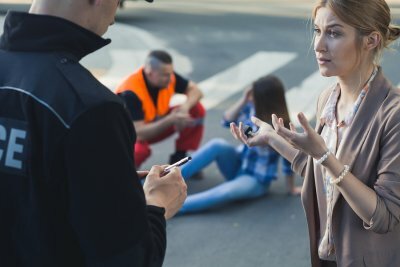 An eyewitness might testify that he or she saw the plaintiff display signs of a head injury at the accident site, such as bleeding from the area, confusion, or impaired coordination.